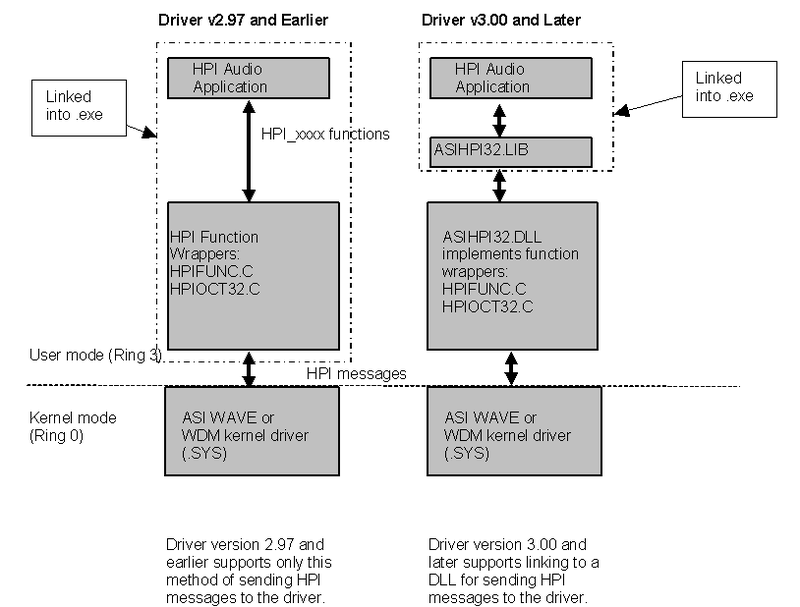 Prior to driver 3.00, customers writing HPI level applications for Windows would link HPIFUNC.C into their application. This has the drawback of limiting some internal HPI structures to 32-bit only. The more transparent approach is to have AudioScience provide a DLL that implements the functions in HPIFUNC.C so as to shield the customer's application from internal HPI structure sizes. We call the 32-bit version of this DLL ASIHPI32.DLL. All functions previously available in HPIFUNC.C are available via ASIHPI32.DLL. The following compiler defines should be used for any 32-bit project that interfaces with ASIHPI32.DLL - HPIDLL_IMPORTS;HPI_OS_WIN32_USER. The following description applies to driver 3.06.00 and later. In ASIDRV.INI (in your windows directory) find the [Audio Science Driver Information] section and set Internal Error Logging to 'on' and Error Logging Level to 'Error' - or whatever other level you wish to use. Reboot the computer after ASIDRV.INI has been edited so that the changes will take effect. debug HPI_DEBUG_LEVEL_DEBUG Debug: tracing normal operation. This will allow you to see all HPI messages.